New. Trade paperback (US). Glued binding. 304 p. Contains: Illustrations. Wheat Belly. New. Glued binding. Paper over boards. With dust jacket. 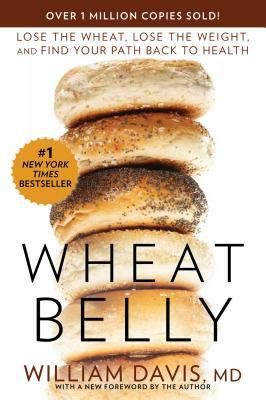 292 p. Wheat Belly. Really opens your eyes to the fix we have put ourselves in with the green revolution wheat pushing the pre 1950's wheat varieties out of business. William Davis has read the history and explains the current events. Davis has done us a great service by leaving us his gleanings in an organized form. We weren't naturally selected to be fat long. Natural selection did not make us this sick. You can't buy health with money...but go the expense to own and retain this book.